We are a certified green chalice community within the Christian Church Disciples of Christ since November of 2016. The purpose of the Green Chalice Program is to help and recognize congregations live out their faith by caring for creation. It also aims to empower congregations/assemblies with ideas and resources to enable them to walk gently on the earth. 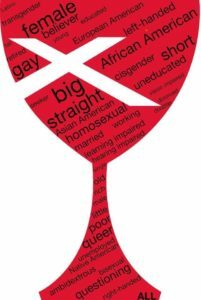 The Mission of the Open & Affirming Ministry Program is to build a Christian Church (Disciples of Christ) that welcomes persons of all gender expressions and sexual orientations to the table of Christ’s communion and to the full life and leadership of the Christian Church. Open & Affirming Ministries of the Christian Church (Disciples of Christ) have committed to openly welcoming and affirming persons of all gender expressions and sexual orientations. We teach people how to use environmentally-friendly farming methods, create and operate businesses, and support their communities with their knowledge. We strengthen entire communities by making large-scale improvements to existing economic systems to benefit farmers. We help women develop leadership skills so that they can have access to greater opportunities such as education and entrepreneurship. 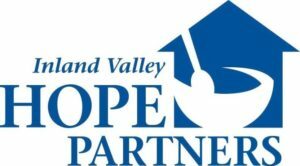 First Christian Church of Pomona is one of the charter members of Inland Valley Council of Churches, now know as the Inland Valley Hope Partners. The mission of the Inland Valley Hope Partners, a collaboration that brings together churches, individuals, businesses and community groups, is to ensure the empowerment of people in need, by providing food, shelter, and supportive services. The offices of IVHP are in our facility and the Our House Shelter, an emergency shelter for families, is also part of our facility. The congregation supports the shelter by paying for all the utilities. Ecumenical work, working with other churches and faith communities, is a core value for Disciples of Christ congregations. Assisting the underserved and poor in our community is also a high priority. IVHP gives us the opportunity to be in mission in our own community. Our congregation is a member institution of the Inland Community Organizing Network (ICON), a broad based organizing group of faith communities, schools, non-profit groups and unions, which work together to build power in order to improve life in our communities. In Pomona, we have been able to get city officials to allocate more Community Development Block Grant funds for streetlights and sidewalks and save neighborhoods from re-development re-zoning. We have been working with teachers and parents so parents have greater access to the schools in order to volunteer. We also work with other member institutions across LA County and the State of California. This work get us into the community to better know and understand our neighbors. We are in relationship with other congregations and groups whom we would otherwise never have any contact. We are committed to moving out of the culture of isolation in order to create safer, healthier communities for everyone.